After building his professional life around the promotion of a dangerous painkiller, the man behind OxyContin is venturing into the medical cannabis world. A man who, nearly a decade ago, helped to propel the opioid epidemic into the monster that it is today, has decided to make his mark on Canada’s growing cannabis industry. John H. Stewart, the former President of Purdue Pharma Canada, helped to launch OxyContin into the mainstream prescription drug market and earn his company billions of dollars. While his expertise in the area of pharmaceutical drugs is unmatched, many wonder if his tactics will have the same effect when it comes to the medical cannabis market. For over 40 years, John H. Stewart has perfect his profession of representing new and cutting age medications. While working at one of the largest pharmaceutical companies in the world, Purdue Pharma Canada, Stewart helped to launch more than 11 drugs, including the powerful pain reliever, OxyContin. While this one pain pill alone made his employer billions and billions of dollars, it would have been impossible to see the backlash this particular prescription would have on the population as a whole. Whether it was through abuse or treatment, many patients found themselves addicted to the opioid medication. Patients were being treated for a wide variety of pains with Oxycontin, and in some cases, the medication was stronger than what was necessary. These patients, in turn, became dependent upon the prescription to function in their everyday lives. This little pill had just sparked the growing opioid epidemic many nations are dealing with today. After the introduction of OxyContin, many patients turned to fentanyl, and eventually, heroin, in an attempt to quell their symptoms. In 2007, Stewart became President of Purdue Pharma Canada’s U.S. parent company and agreed to pay the U.S. government $634 million for “fraudulently misbranded OxyContin” and making it seem less dangerous and addictive than it is. 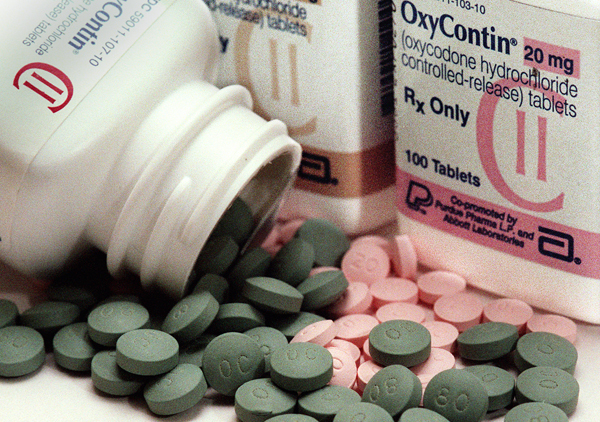 OxyContin: Welcome to the cannabis market? Emblem Cannabis Corp was recently granted permission and licensing from Health Canada to begin cultivating and distributing medical cannabis throughout Canada. Beginning in August, Emblem will supply many patients with a healthy alternative to pain medications and become a direct competitor of pharmaceutical drugs, like OxyContin. While searching for investors, Emblem knew of Stewart’s success and sought out his expertise to help “change the face” of the cannabis industry. It is Emblem’s hope that Stewart can do for their company what he did for Purdue Pharma Canada, but with a much more wholesome medication. Emblem is not shy about their plans to help reduce the opioid epidemic and the constant stream of prescription drugs that only add fuel to the fire. They made their beliefs clear in a Twitter post. Medical cannabis could save us from painkillers. With Stewart now on board to help Emblem grow, it’s likely the cannabis company will be implementing some new tactics into their medications. Talks of “revolutionizing” cannabis consumption are spreading throughout Emblem’s business and discussions on how to better utilize tablets and pills for dosing are underway. As August approaches, it’s highly likely Emblem will see more changes meant to propel business and help tear down the opioid epidemic that Stewart helped to build so many years ago.